Autumn is a great season when it comes to food, fun and fashion - here are nine of the most exciting things about the next few months. We're kicking off September with a #FunFestiveBday Twitter Party! Sign up below and join us on Twitter with the hashtag to be eligible for prizes! 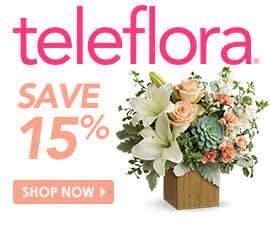 PRIZES: $850 in Visa gift card giveaways + 10 Teleflora bouquets!